Maverick slowly gains Elle’s trust and coaxes her out from the seemingly impenetrable walls of self-protection she erected around her heart when her mother was murdered. He convinces Elle to confide the secrets of her tortured past: that she saw her mother’s murder before it took place, and she was the one who found her, bleeding to death at the end of a lonely dirt road. Together the unlikely pair begins to unlock the secrets of not only Elle’s sordid past, but her mother’s and grandmother’s as well, to uncover decades of greed, corporate corruption, lies, and murder. Quickly, the sobering realization hits: if they do not solve her mother’s murder, Elle will undoubtedly suffer the same fate. As she continues her journey toward truth alongside the boy she is magnetically drawn to in a way both frightening and uncontrollable, Elle finds the road she is most afraid of going down—that one lane dirt road where her mother was murdered—just might be the only place she can truly find redemption. 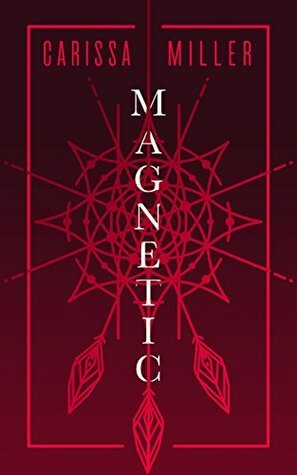 Magnetic tells of the enduring pain of living with unsolved violent crime. Inspired by debut author Carissa Miller’s true-life events, it’s a haunting account of a young girl’s struggle in the aftermath of shattering loss. With an unraveling love story, puzzling mystery, unexpected twists and turns, and a gripping pace that will keep you turning pages, our heroine takes you on her journey as she learns one of life’s great lessons: facing your fears instead of running from them, is the only way to truly find freedom. Carissa Miller writes a lifestyle and design blog called CC and Mike, where she and her husband blog about their experiences designing, building, and flipping houses in the Midwest. 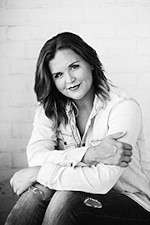 She was inspired to write her debut novel–Magnetic—because of her firsthand experience living with the trauma of an unsolved violent crime, her mother’s attempted murder. When she’s not writing, blogging, or designing, Carissa loves Oklahoma summers on the lake with her husband and three children, going to Oklahoma State sporting events and cheering on the Cowboys, and traveling cross country with her family in the RV she and her husband renovated. Carissa laughs loudly, loves with her whole heart, tells it how it is to a fault, and enjoys living life to the fullest, every moment of every day. You can follow along with Carissa and her family on Instagram – ccandmikecreative, Facebook – CC and Mike, Pinterest – CC and Mike, Twitter, or by subscribing to their blog – http://www.ccandmike.com/.